PokerStars is the world's biggest poker room and its slick software is viewed as the best available by many poker players. The cash game tables are buzzing with action around the clock, and the tournament schedule is full of massive guaranteed prize events every week like the famous Sunday Million, in which winners regularly walk away with life changing pay days. The PokerStars software is considered by many as the best available online poker software on the market. The software is easy to use and has many advanced features to enjoy. As the world's biggest poker room, you will always find plenty of players online for all poker variants, at any time of the day. PokerStars is home to the biggest weekly online tournament, the Sunday Million, as well as some of the biggest online tournament series' like the World Championship of Online Poker (WCOOP), Spring Championship of Online Poker (SCOOP), Turbo Championship of Online Poker (TCOOP), and the ultra popular MicroMillions festival. On top of the highest available poker bonus or free poker money on PokerStars, there are more advantages for you as a player from PokerStrategy.com. You receive 1 BonusPoint for every 2 VIP Player Points you collect while playing on PokerStars. As a new member you also get free access to our weekly exclusive Double Action freeroll tournaments with $4,000 up for grabs. 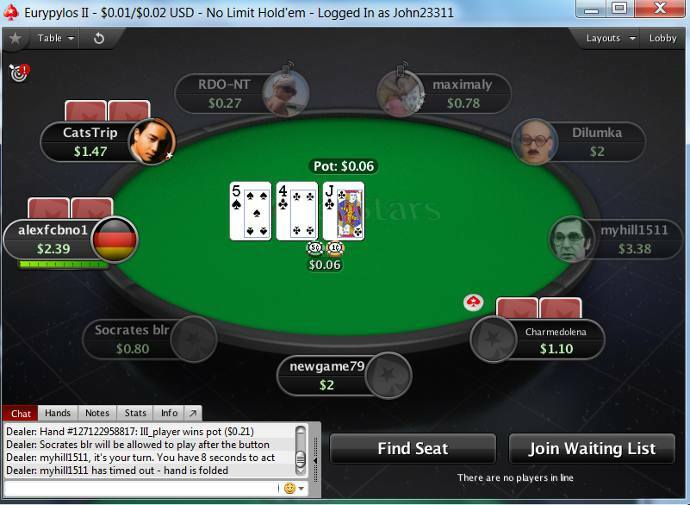 PokerStars was founded in 2000 and is part of the Rational Group, which also owns Full Tilt. PokerStars' headquarters is located on the Isle of Man, where it owns a license from the Isle of Man Gambling Supervision Commission. Additionally they hold licenses in several local markets. PokerStars offers a broad range of poker promotions for all types of players, from the popular milestone hands, to the unrivalled $1 million Spin&Go tournaments. Players who sign up via PokerStrategy.com can participate in our exclusive Double Action tournaments for free. Always keep up to date with the latest PokerStars promotions on our PokerStars forum.